Here we are, with the annual Call of Duty release. This being the ninth major title in the franchise (not counting early console off-shoots). 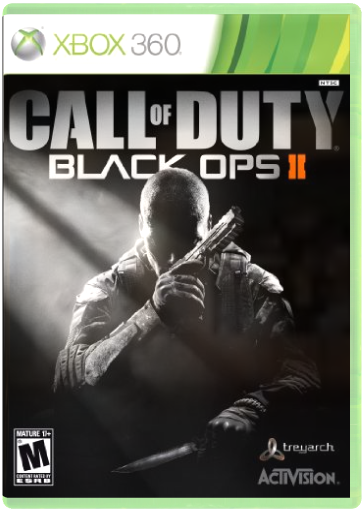 I was likely one of the few who were excited by the futuristic aspect in Black Ops II, which was the main reason I wanted to get my hands on it. I actually hadn’t played the first Black Ops game until October 2012, nearly two years after its release. It simply didn’t interest me, but I ended up being pleasantly surprised. It had the most engaging story of any game in the franchise since Call of Duty 2, so by the time Black Ops II was released, I was really looking forward to it. 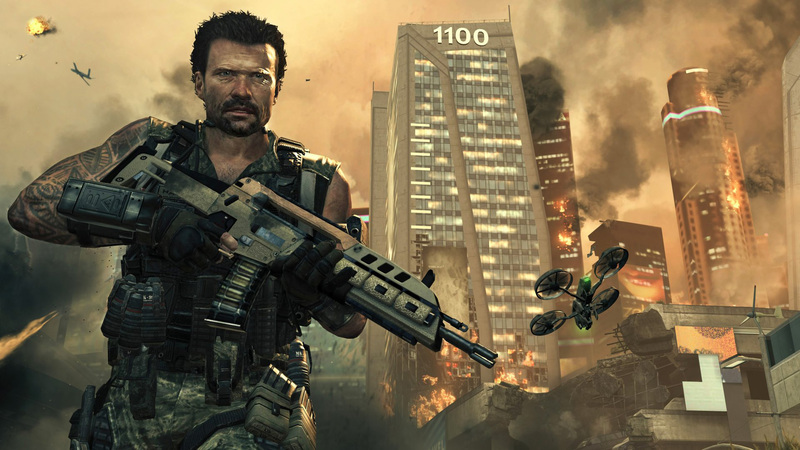 Once again, Treyarch has impressed the pants off me by teaching this old dog plenty of new tricks that breathe new life into an otherwise stale franchise. Harper is voiced by the guy who plays Merle in The Walking Dead. First of all, remember when everyone (myself included) used to groan about the Treyarch developed CoD games? Those days are behind us, and they have definitely proven to be a worthy handler of the franchise. In fact, they’ve done more to push it forward than Infinity Ward, at least since the release of Modern Warfare back in 2007. I always found the Modern Warfare titles to be a bit on the confusing side, as far as the story is concerned. They certainly weren’t easy to follow, with missions jumping between characters and factions, story arcs overlapping, and lots of enemies with foreign names I can’t pronounce, let alone remember. Granted, the Black Ops games still share some of these traits, but not to the same degree. It’s dumbed down to the point where it’s still fairly complex, but easier to follow and overall more interesting. An elderly Frank Woods speaking with David Mason. 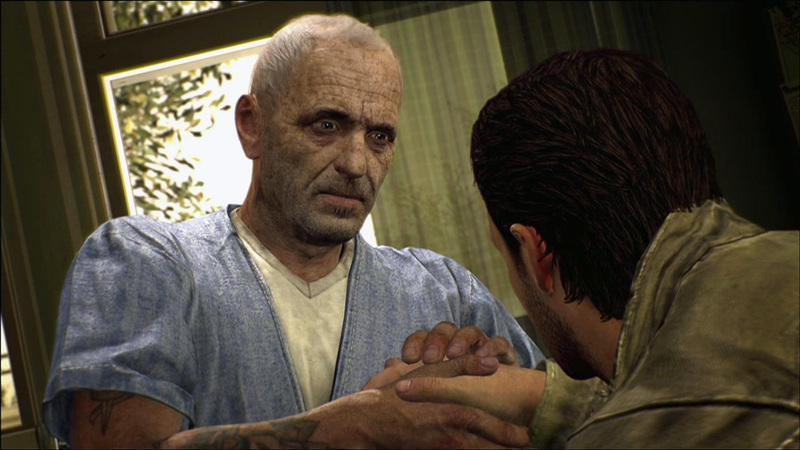 For most of the campaign, you play as David Mason, Alex Mason’s son. He reaches out to Frank Woods, who now spends his days sitting in a wheelchair in a retirement home, in hopes that Woods can shed some light on an enemy who threatens to unleash a cyber attack on the world. Present day is 2025, and most of the campaign jumps back and forth between then and events that took place in the 1980s, as Woods recounts some of his covert missions to fill in the blanks. 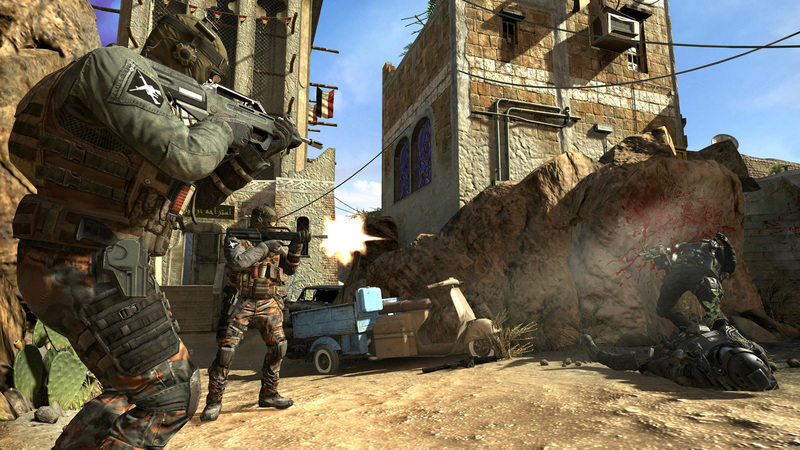 What pushes Black Ops II ahead of the rest, is the addition of choice in the single player campaign. At first, I didn’t even realize story changing decisions were being left up to me, until something happened and I was given a chance to redeem myself. Without spoiling anything; there’s a point where you’re sent to extract a target. The mission can end with you successfully extracting the target, or with the enemy escaping with the target. If the latter happens, a secondary (Strike Force) mission is opened up, which gives you a second chance (this is actually the name of the mission) to try and extract the target. I believe this is the first time I’ve seen something like this happen in a single player game, where you’re given an opportunity to correct a mistake, and the outcome affects the story progression. Very cool! As the campaign plays out, several Strike Force missions become available, depending on your actions. You are given limited teams for use in these missions, and failing one will give the chance to try it again, but you end up with one less team for later missions. Thankfully, I completed all Strike Force missions on my first attempt. Each mission is completely different, and they range from extraction, to capture and hold, to straight up defense. The first mission is particularly different, in that you’re given multiple teams to command, which you can control from an overhead map, or assume the role of individual units. You can even jump between units with the press of a button; this totally reminded me of Battlefield 2: Modern Combat. The Strike Force missions are only available for a set amount of campaign missions, and as I mentioned earlier, their completion affects the story, so they’re absolutely worth doing. Aside from that, they’re a lot of fun! Since a good chunk of the campaign takes place in the future, there are plenty of new weapons and gadgets at the ready. Some of which, are a huge amount of fun to use. When replaying missions, future weapons can be used in the past (there’s actually an achievement for doing this), which means you can replay the entire campaign with your favourite future weapon, if you so desire. I believe this is the first CoD game where you can actually customize your load-out before each mission, even during the initial play-through. There are five possible endings, which would require five full play-throughs to see. Or of course, you could find them on YouTube, but where’s the fun in that? To add a bit more incentive for additional play-throughs, there are achievements which are only possible to obtain by following a specific chain of events. I haven’t bothered with the multiplayer or zombie modes. At this point, with so many other games on the table, it’s hard to find time for it, and this brand of multiplayer gaming isn’t my cup of tea.